I am obsessed with new cosmetics and love to try new colourful things. Recently while I was browsing or shall I say window shopping on one of my favourite online cosmetics store, I came across to this new brand Miss Claire. I was blown away by the range available and the prices they charge for them. The brand is offering an amazingly wide range having Lipstick, Bronzers, Highlighters, Foundation, Eyeliners to concealers. 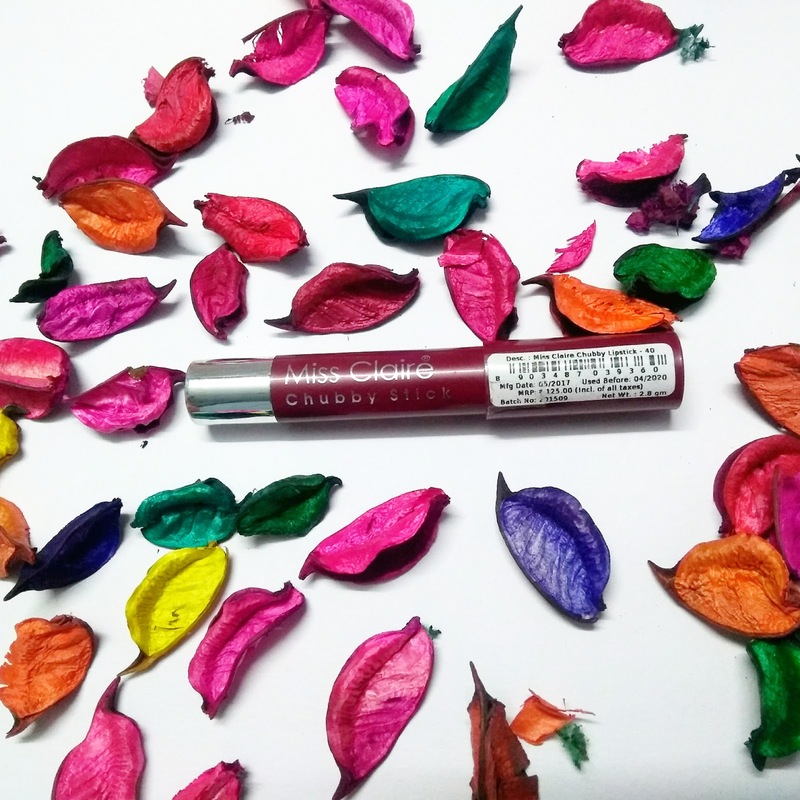 All Miss Claire makeup products are affordably priced, and the shades shown will suit all skin tones in India. I bought 3 products from the brand with a total of Just Rs. 255, I mean can you imagine! Let me show them to you in this review of Miss Claire products. 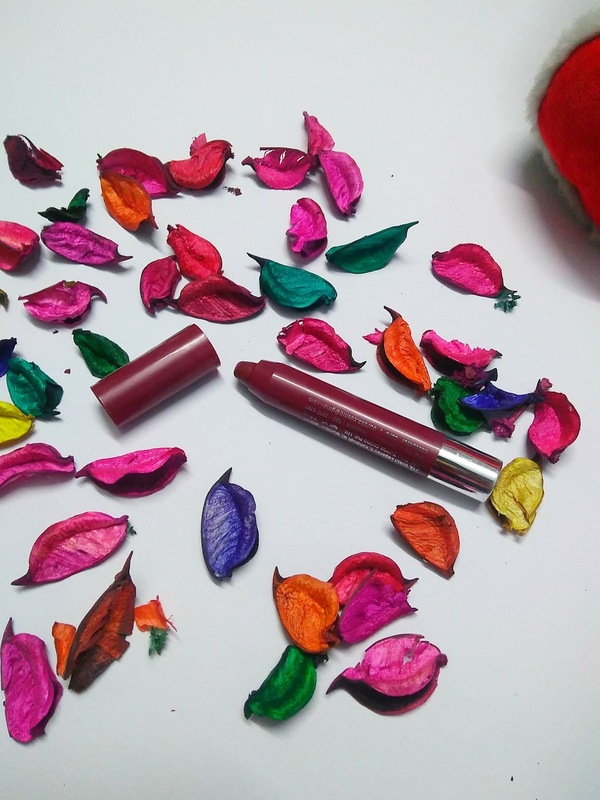 Make painting your pout fun with this range of fool-proof lipsticks that come in a mind-boggling array of cocoloursThe chubby stick allows for easy application of colour that goes on semi-matte, Is non-drying, and has incredible lasting power. This quantity is quite good for the given price. This is the cheapest lip crayon I have seen. The brand has not mentioned any ingredient which is a disappointment. They should give out a full description of all the ingredients used. 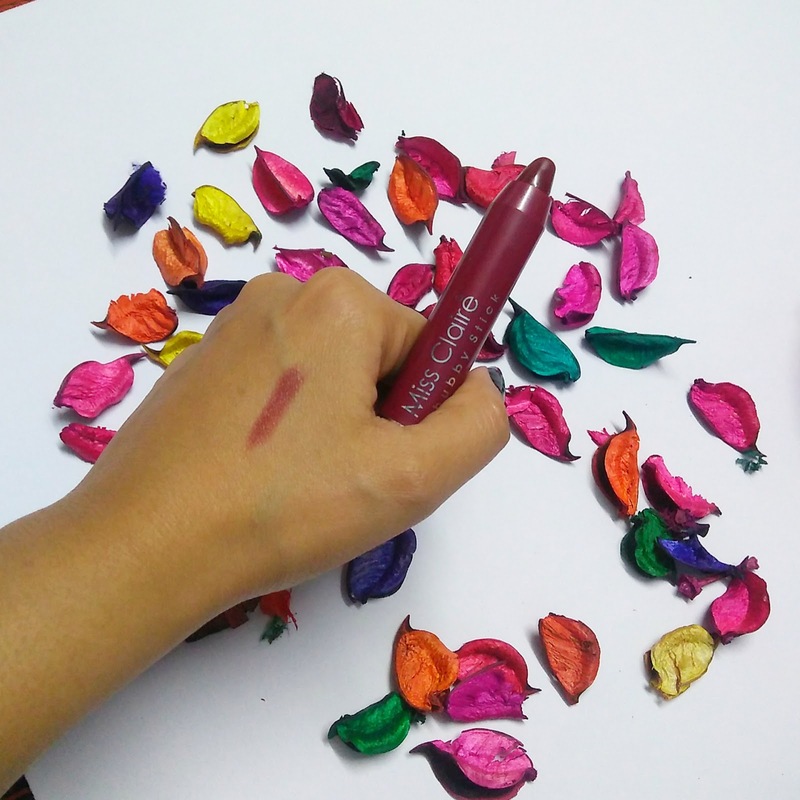 Miss Claire chubby lipstick is a lip crayon available in 28 shades. I got shade number 40 which is cola coloured lip crayon. Slightly brown with red undertones, really gorgeous. You can get a good colour turnout in one single swipe. With two-three swipe, proper dark wine colour is revealed on your lips. Packaging is pretty neat. It won't open in your bag. Adds slight moisturisation to the lips. Does not fade into cracks or leaving an outline. Not easily available in the market. You need to buy it online. 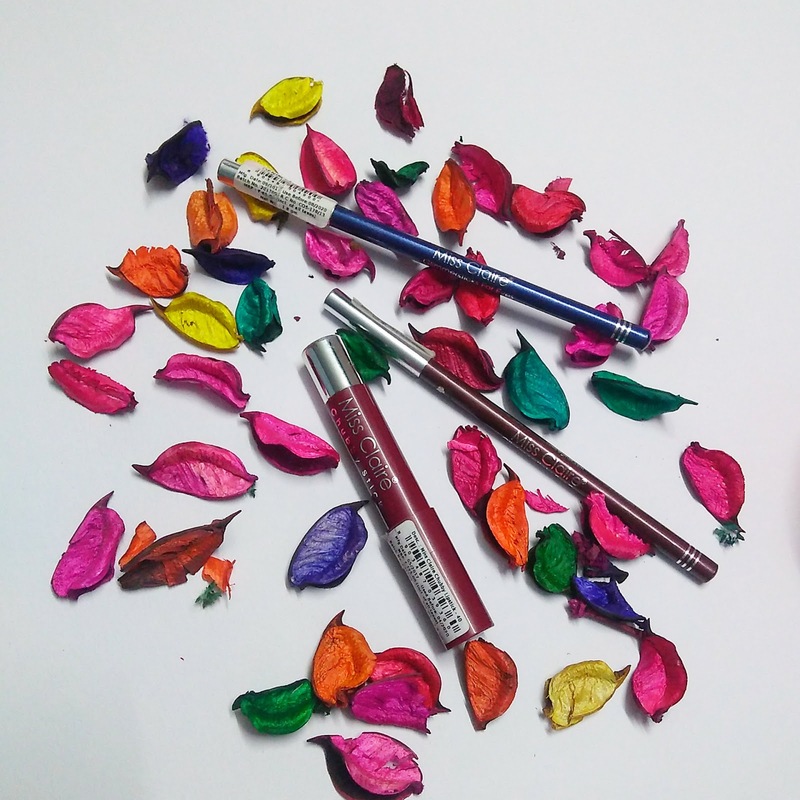 Stay posted for next review about Miss Claire Pencil Eyeliner! Share your views on this product with me in the comments below!